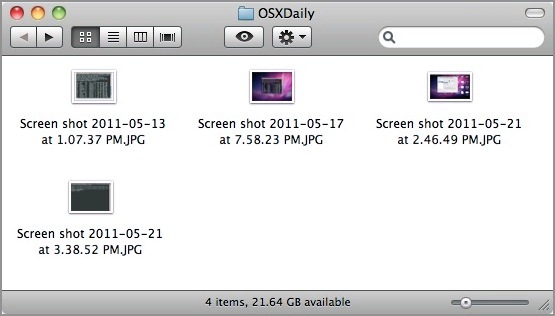 Anyone who takes a lot of screenshots in Mac OS X knows the challenges associated with them; how quickly their desktop will fill up with various PNG files, sorting those into folders or just tossing them elsewhere, converting the screenshots to a different image format, copying them to the clipboard for pasting into another app, cropping down to size, or whatever else is required before the screen captures are in their final usable format. Going beyond the standard advice and keyboard shortcuts, we’re going to focus on some more advanced methods for improving the screen capture experience in OS X, including setting a designated folder to save them all into automatically, changing the saved image format itself, taking challenging screen shots with the help of a timer, snapping the cursor, and a nice trick that lets you move around the drawn screen capture box after it’s been set on screen. These 5 tricks will help you to take better screen captures in Mac OS X, and they will apply to the standard methods of taking screenshots, with the exception of the timer which requires a separate feature outside of the normal keyboard shortcuts. There are actually many other keyboard shortcuts for taking screen shots in OS X but they are really best covered elsewhere since not every one of them will be applicable to the tips here. 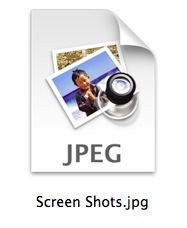 Test it out by taking a screen shot, it’ll now save directly to the Screenshots folder instead of the desktop. Take a screenshot to confirm. You can also choose GIF, TIF, PDF, or return back to PNG if you want the default setting again. Pick the appropriate format for your needs and this can prevent you from having to batch convert a huge group of images after they’ve been taken. Launch the Grab app found in /Applications/Utilities/ and you can take screen captures on a timer, letting you screenshot things that would otherwise be impossible, like some menu pulldowns, system events, and splash screens. Replace “3” with how ever many seconds you want the timed delay to be. This can be reversed easily by applying the same command and flipping “true” to “false”, then killing SystemUIServer again to re-enable the wundowshadows. Command+Shift+4 allows you to take a screenshot with a selection box, but have you ever wanted to move it around after you’ve drawn that selection box? You can. 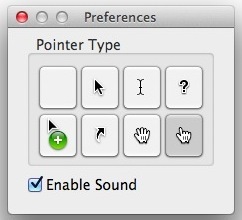 I’d never actually heard of this one before, but CultOfMac found this neat trick, cheers to them! Got any other pro tricks for taking better screen shots? Let us know in the comments. Wow, screenshots just got a lot better, thanks to that fifth tip! something wrong with that last one. Command+Shift+4 followed by spacebar lets you get a snapshot of a window. But if you Command+Shift+4 to draw the screen shot selection box as usual you can’t then then hit Spacebar as it does the capture immediately. Clarified it a bit, but you hit Command+Shift+4, then tap and HOLD the spacebar to be able to move the rectangular box. Otherwise, yes you are right, it captures immediately. Trick N:5 ROCKS! I didn’t knew it! Great one, will update the list to include it! Agreed – tip #5 is awesome! Replace PNG with JPG for the web? Are you insane? JPG is a lossy raster format. Every time you resize the image, quality goes down. PNG is a lossless vector format. You can resize/scale without losing image quality. You are a bit confused! PNG is a raster format, as it is with JPG. On the other hand, PNG is indeed lossless, but you can’t resize it at your will! Did you think of SVG ? I agree with the reaction, but not with the reason. Screen Shots mainly contain text and lines. Using JPG on these result in “ringing” around high contrast parts because of its compression algorithm. JPG should only be used where there are smooth transitions (photos of natural environments). Use PNG or GIF instead for Screen Shots. The pictures will look better and be smaller. Tips #s 1 & 2 can be easily done with TinkerTool, which can be downloaded (search for it online by name) for free. Command+Shift+4+space bar turns the crosshairs into a camera, then left mouse click and will take a screenshot of the active window. 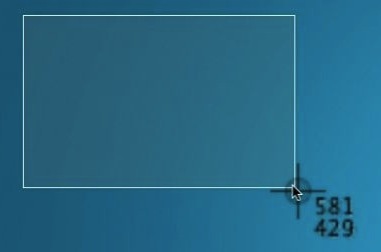 The space bar will toggle between crosshairs and camera until the lift mouse click. Hi, thanks a lot for all these tips but I have a problem. When I want to have a screenshot, very often I have the ending .jpg but also sometimes it springs to the ending .pdf. I would like to know how to fix the ending to be always .jpg. Thanks if you have any idea to do this. Great one, completely forgot about it. We will add this to the list! Or, you just Command+Shift+4 tap space bar + hold ALT and click, then you got the screenshot of the window without any shades. Another great tip, if you would like to keep the screenshot on your clipboard for future pasting, press the Control key along with any of these screenshot commands. Then, you can go to an open email, or Word, Pages, Photoshop file and paste it with the menu or keyboard command. Great tips!! How do I create a subfolder in /Pictures/? Command-Shift-4 then tap space-bar. It lets you take a screenshot of an entire window, even if it is partially behind another window. I cant get the change to take effect. The commands seem to be accepted but nothing happens. Exactly where do I type these commands in terminal? Do I just open terminal and copy and paste them in or do I select something from the menu bar? Yes you type them into the terminal, then hit return.